Writing book one, “Beginnings” has been a create joy and incredible challenge all at the same time! I’m continually amazed at the grace of God that He’s enabled me to write this novel. I’ve always had a great desire to write, and as a youngster I read a ton. Combining my love of reading with the creation process of writing a book like this has been incredible! Thanks God! I should tell you a bit about me. Just for fun, I’ll list them in order of importance! 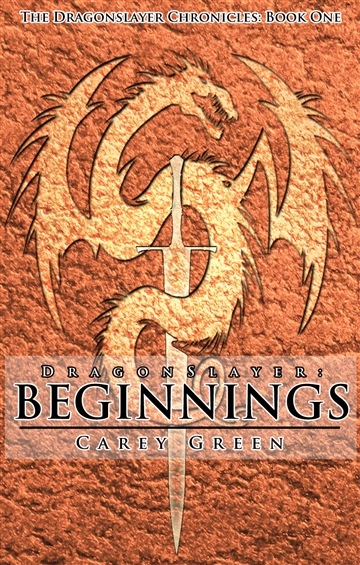 You can find my writings and much of the outgrowth of that faith at http://www.careygreen.com or http://www.careygreen.com . I have one grandchild (that makes me “Grand-Pop”) and another on the way! I did… and they finally convinced me to put them into book form. I love to interact with readers, so please feel free to use the button above to contact me. I’m happy to discuss anything – from faith to writing to business to parenting to who won the last ball game. Shoot me a line!